Raymond S Krietchman DDS (Staten Island) - Book Appointment Online! 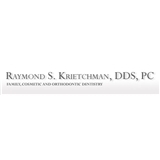 Raymond S. Krietchman, DDS, PC provides quality dentistry for people of all ages. For many years our goal has been to ensure the complete satisfaction of every patient, while offering knowledgeable and friendly service at competitive fees. For almost 40 years, we have gained the experience of being able to provide nearly any type Dentistry. General Dentistry, Cosmetic and Orthodontic, Implant and Total Restorative work are our specialty. He is an excellent Dentist. Caring and kind.